Getting Lost is Unforgettable Fun! 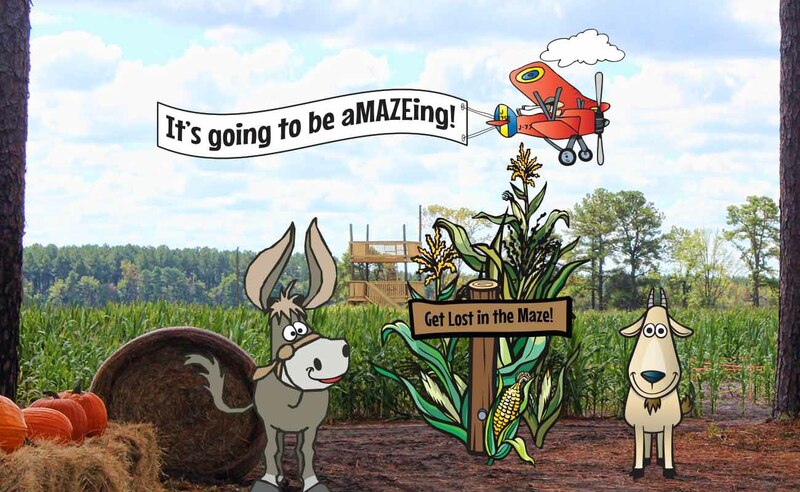 Our mazes are a giant six acres of trails cut into tall stalks of sorghum! The paths create a marvelous design and an intricate puzzle — our 2018 design for the large 5-acre maze is a tribute to good ole USA. Featuring a design that has an eagle, the stars and stripes and miles of paths, it promises to be lots of fun! Below is a markup of this year’s design. You will see a tall observation tower in our maze. A special (and quite friendly) Maze Cop is on the top deck armed with a radio. He watches out for “horseplay” and lost explorers! If we find that you or a member of your group is picking or throwing corn, the guilty party will be immediately fed to the Corn Monster. No running in the maze. Please stay on the paths. We provide instructions for how to navigate the main maze. Don’t worry if you get lost — we’ll find you before we go home for the night! We promise! And note: we do not haunt our maze! It’s lots of fun to explore the maze after dark (only slightly spooky) — but you will need a flashlite! Bring your own or purchase one at the Ticket Booth. It’s aMAZEing Fun for Kids! We have a one-acre corn maze especially for smaller children. 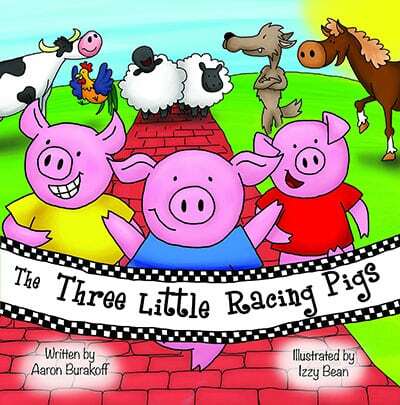 We call it the Storeybook Maze inspired by the The Fairy Tale Trail story, “The Three Little Racing Pigs“. These trails afford a more simple path through for our younger visitors … or for the young-at-heart!